“Hatred paralyzes life; love releases it. Hatred confuses life; love harmonizes it. Hatred darkens life; love illuminates it.” ~ Martin Luther King Jr.
We don’t have a history of being the most enlightened people in the world, but I’ve always taken a certain pride in being a Southerner. In the South, we drink sweet tea, say “yes ma’am” and we go to church. Oh, how we go to church. 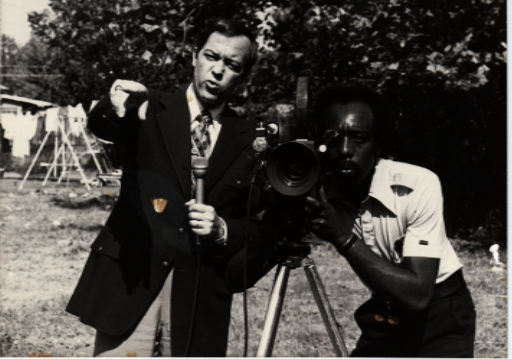 Four days ago I learned about the death of a colleague who was a local television news icon. Jack Hill was the lead anchor for KAIT Channel 8 in Jonesboro during the 1980s. Jack Hill and Ray Scales (right) in their prime as investigative journalists. The post wouldn’t have been complete without interviewing Ray Scales, Hill’s go-to camera man for a decade, and a man who was a mentor of sorts to me when I was a greenhorn reporter at The Jonesboro Sun from 1988-1998. Scales was gracious to take an early morning Saturday phone call and share some thoughts about Hill’s intriguing career. Now the lead pastor at New Mt. 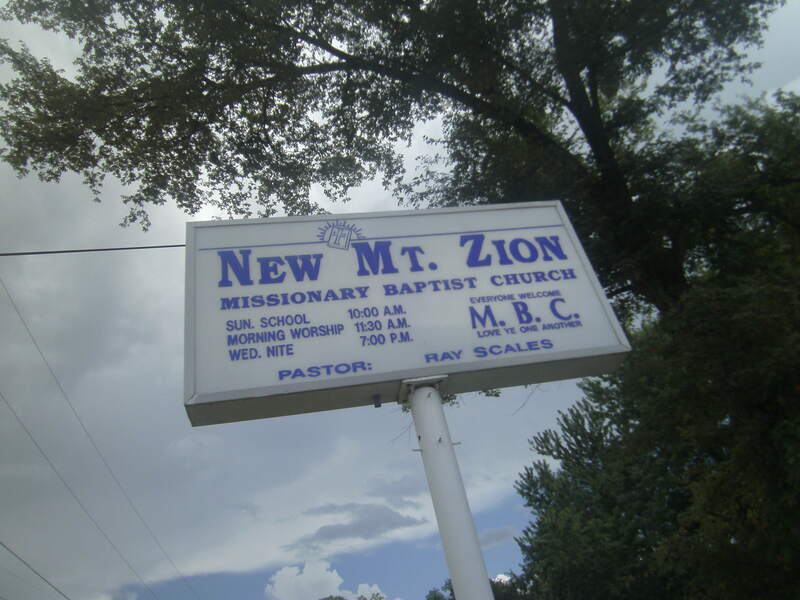 Zion Baptist Church, Scales is an influential leader and civil rights champion. He chairs our town’s Martin Luther King Jr. Day parade each year. Speaking with Scales Saturday brought back many good memories, and I decided I’d attend his church service the following day. For many reasons, it was an enlightening experience. 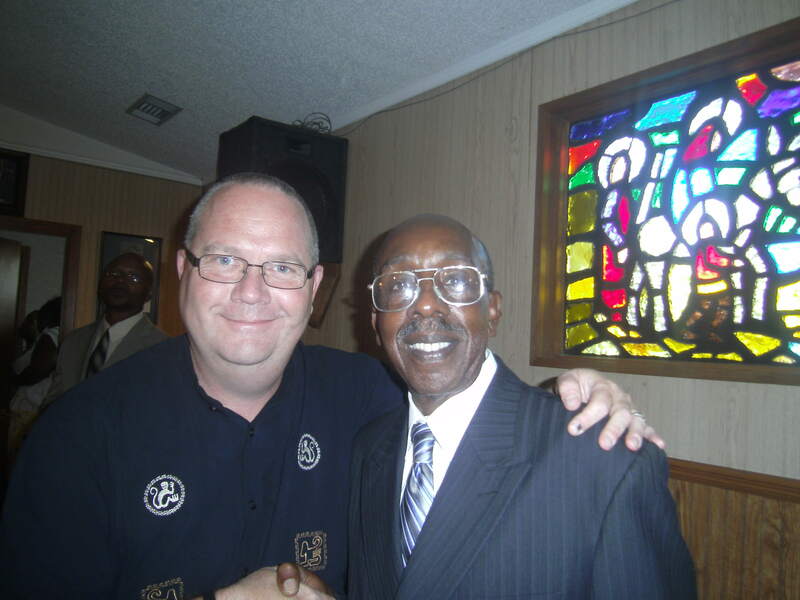 After the church service with my admired friend, Dr. Ray Scales, pastor of New Mt. Zion Baptist Church. In the South, we still have what we casually refer to as “black churches.” I’m not sure why, because I’ve never heard a church referred to as a “white church.” Nevertheless, we have no qualms about making the “black church” reference. New Mt. Zion is a black church. Most anyone would acknowledge that. In yesterday’s church service I was the only white man in the house. And I’ve never had a more enjoyable “church” experience. We were greeted with pure love, open arms and grateful hearts. Ray acknowledged my family as special guests, and at the service’s conclusion he even asked me to say a few words. 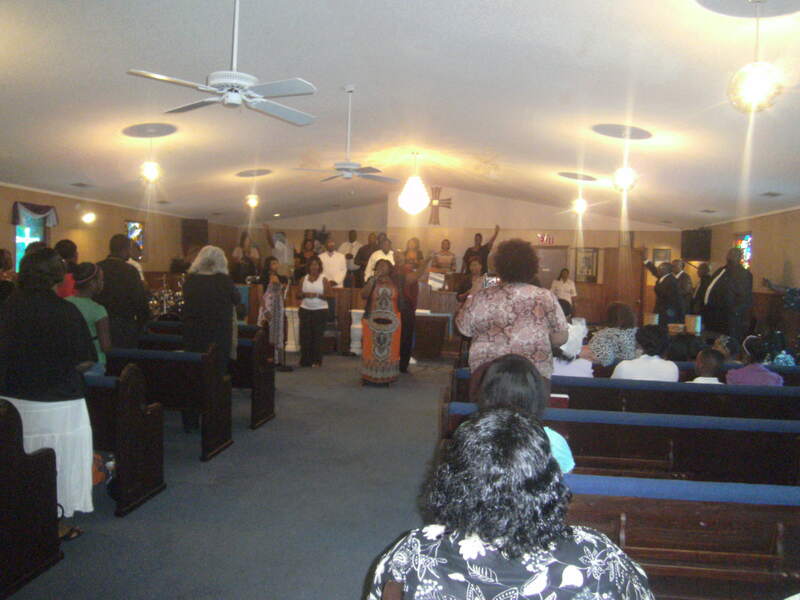 I was so honored to be a part of their service … it was uninhibited worship at its very best. The New Mt. Zion Choir is nothing less than spectacular, and Scales’ message delivery was captivating. But I was the only white guy in the house, and it really got me thinking. VIEW FROM THE BACK PEW: Enjoying the praise and worship of the New Mt. Zion Baptist Choir. They make a joyful noise! It’s crazy that we even conceive the notion of “black” and “white” churches. Is the South still that much in the dark? Two years ago, my wife and I had a short career stint in Mountain Home, Arkansas. For the time we were there, we wanted a church home and our first visit was to a large denominational church where many of the townspeople worshipped. We had two distinct observations. There wasn’t an African-American in the house, and not a single person said “hi” to us. We were dumbfounded no one spoke a word of welcome. Caught up as I was in New Mt. Zion’s wonderful service yesterday, my mind drifted. I just kept wondering if any of their church members would have been as welcomed in a “white” church as we were there. And, moreover, as Southerners, why do we self-segregate, black and white, as a body of believers. We’re doing this to ourselves. If there’s one place we should come together as one body, it’s the church, is it not? My hope is that we’re on the path to making some progress. An introspective process now ongoing by two of the South’s largest denominations offers that hope. At its most recent national gathering, the Southern Baptist Convention elected new president Fred Luter as the first African-American leader in its 167-year history. Luter’s election signals an important statement in the SBC’s effort to distant itself from its racist past. The SBC was founded in 1845 when Baptists split over the issue of slave ownership in the pre-civil war years. “It’s been said that Southern Baptists are very old and very white.” ~ Tim Burcham, Pastor FBC of Lindale, Georgia. The SBC’s debate over a possible name change to “Great Commission Baptists” is ongoing. Likewise, at its 2012 general conference, United Methodists considered a number of changes in operational standards to lessen the group’s bureaucratic structure and reach out to a more diverse following. The issue of homosexual membership and pastoral leadership is a debate that continues for the group. We’ve certainly lived out the circumstance of our own Dark Ages here in the South. I wonder if we’re making progress, or if we continue to live in the shadow of our past. I am still following and ENJOYING your journey! WOW! I appreciate you going yesterday. You truly have NO idea the impact that your visit makes to both communities. I have notes that I have been collecting for many years on this topic. Many a manuscript in the making! Perhaps we could collaborate. I’m of the same mind and think it has a HUGE place in the market. Wanna talk? My family is very diverse and I expect my church to be the same. New friends who come to my personal family or my church family events should expect to see a variety of nationalities. That’s just part of life. If we cannot be color blind inside teh church, how will we ever be color blind outside of it? I tried to raise my children, who are half Costa Rican and half Irish/Cherokee/ Dutch, to be color biind. Iused ot laugh at them when they called their dark haried barbie a black barbie. They grew up with cousins of various nationalities and we continue to mix in additional nationalities as our family line lengthens. Every birthday party looks the way I expect me church to look. Black, White, Asian, Indian and avarious mixtures of the above. This was an amazing article and I would have to say that still today, not only in the south but all across this nation: Sunday is greatest time that we see segregation in this country. I would like to go beyond the obvious notice of segregation in race and look at the segregation in the body of Christ. We have Baptists, Pentecostals, Methodist, Presbyterians, and many more that all meet together in their own churches and with their own people that believe, live, or look the same way. What a tragedy! We are all many members but one body. As the body of Christ we must come together because we all have something to give and something to learn from each person regardless of creed or color or denomination. I would like to say that in the church that I attend, The Mercy Seat Church, we have broken the barriers of race, creed, color, and even languages and we have all gathered under the name of that is above every name, every denomination, et… and that is Jesus Christ. 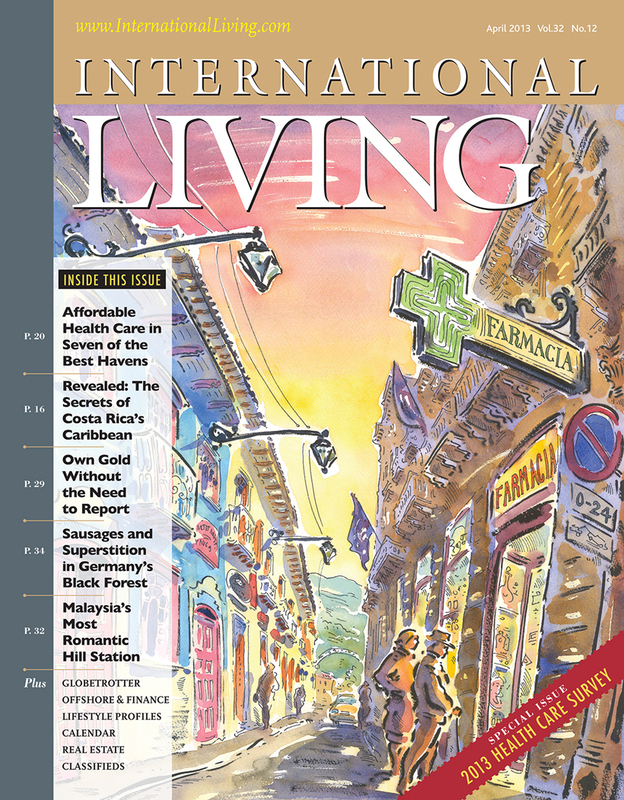 Our services are bilingual (English & Spanish). Because we are non-denominational we have members that identify with being Baptist, Pentecostal, Charismatic, Methodist and the list goes on and on. Mu point in all of this is not to say that our church is better than any other church. I am however saying that we, as the body of Christ, must recognize that heaven is not going to be just one denomination, one race, one color, one language, but it will be a mixture of everyone coming together to worship on God. One Lord! The charge that was given is Ephesians 4 is one that we as the body of Christ must accept…. that we we should be the whole body, fitly joined together, according to the effectual working in the measure of ever part, making increase of the body unto the edifying of itself in love. Let us break the barriers of race, language, doctrines, believes and learn to love the way that Christ loves the church. Sorry did not mean to sound preachy, just passionate about the things of God and getting the body of Christ to rise to the calling that Christ has placed on us to be in the earth until his glorious return. She has given me permission to repost this here.